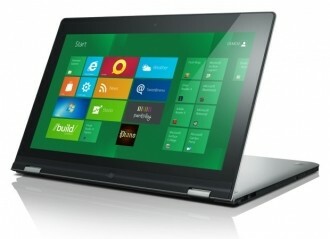 Acer, Asus and Toshiba are all planning to showcase Windows 8 / Windows RT tablets at Computex next week in Taiwan. Windows 8 will be featured on slates running Intel processors while RT will make an appearance on ARM-powered chips from the likes of Nvidia, Texas Instruments and Qualcomm, according to a new report from Bloomberg citing people with knowledge of the matter. Acer’s offering will be a traditional tablet powered by an Intel chip while Asus will showcase something similar to their Transformer model with a removable keyboard. The company is expected to have tablets on display that use Intel chips and Nvidia’s Tegra 3 SoC. Sources say that Toshiba will introduce a hybrid notebook / tablet device, perhaps similar to the Lenovo Yoga we saw at CES, with a Texas Instruments chip under the hood. More specifically, Asus vice president Steven Guggenheimer is expected to show off their lineup during a presentation on June 6. Qualcomm is also planning to demonstrate a product running Windows RT on their Snapdragon processor. CNET says that this information correlates with what they have been hearing from their sources as well. While we can expect to see a number of Windows 8 devices launch alongside the OS later this year, we are told that Windows RT devices will initially be limited in quantity and come from Acer, Asus, HP, Lenovo and Toshiba. Windows RT is designed specifically to run on ARM processors, the first mainstream version of Windows to do so.